Are you looking for the perfect getaway experience? Located in East Africa along Lake Victoria, Uganda is a beautiful mix of wildlife, lush greenery, beautiful bodies of water, glorious mountains and culture. There must be a reason it’s been donned “The Pearl of Africa”. Like an oyster, Uganda took its turbulent past of civil wars, poverty, and despair and transformed itself into a radiant pearl of hope, beauty, and resilience. If you are looking to get away from the stress of living in a fast-paced world, then Uganda is just the destination for you. Here are ten reasons to visit Uganda right now. Inject tranquility into your life and reconnect with the harmony of nature as you fawn over the elegance of the animals on the African plain. With its dense foliage, equatorial climate and mountains, a Ugandan safari is unlike one you’ll encounter elsewhere in the world. The country can boast exciting safaris because Uganda was blessed with impressive and varied populations of wildlife animals and such rich terrain. With over ten national parks, Uganda is home to hippos, lions, elephants, chimps, leopards, giraffes, golden monkeys, reptiles, half of the world’s endangered mountain gorilla population, and over 1,000 species of birds. Most notable of these parks include the Bwindi Impenetrable National Forest, Kibale Parks, Queen Elizabeth National Park, Rwenzori National Park and much more. Uganda is famous for its gorilla habitats. 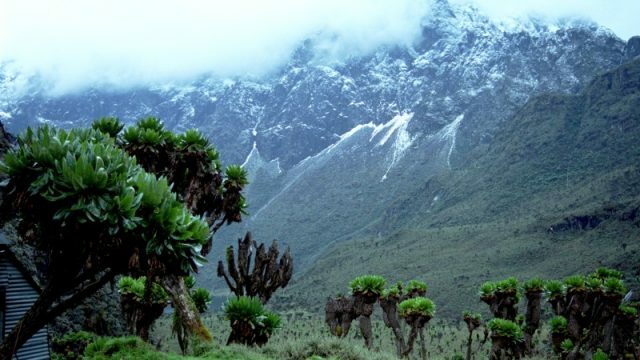 Its dense foliage and equatorial climate provide the ideal environment to over half the world’s remaining population of wild mountain gorillas. Gorilla trekking is the most popular tourist activity in Uganda. It’s not hard to see why. A 2 to 6-hour trek in the shrouded foliage of Bwindi offers a personal encounter with these majestic creatures. The tour includes an hour-long interactive session with the mighty primates. Though a wild gorilla trek in Uganda may run you a lot of money, it’s worth the expense if it means you can enjoy this deeply personal and unique experience with one of the world’s most precious endangered species. Though there is so much to learn from these gorillas, one of the most fundamental lessons they teach us is about the simplicity of life and a reminder of what’s really most important in life, food, water, shelter, and family. Uganda’s scenic water bodies provide good hearty therapy for the mind, body, and soul. At the peak of the list is the majestic Murchison Falls, which offers a splendid mixture of sight and sound. Along the stream, people enjoy white water rafting, kayaking, going for a nice long trek to the top and getting sprayed along the way! Another must-see natural attraction is Bunyonyi Lake; Africa’s second deepest lake and home to an enormous variety of bird species. The bird’s bustle, lush greenery, and ever-blue depths of the lake offer a relaxing atmosphere for honeymooning couples, bird watchers, and committed trekkers who just finished a morning safari and gorilla encounter. Finally, there’s Lake Victoria; the world’s largest in-land fresh water lake. Shared between Kenya and Tanzania, Uganda’s famous lake gives origin to the longest and perhaps most famous river in the world: The Nile. The Pygmy people of Uganda are locally known as “Batwa” or “Keepers of the Forest”. These people are known for their impressive short-stature and small build. They’re an endangered forest-dwelling hunter-gatherer population of what is commonly accepted as the indigenous people of Uganda. The success they’ve had in living harmoniously with nature with a low-impact on Mother Earth has granted them generations of fertile culture and community. However fortunately or unfortunately, the establishment of various nature preserve territories have displaced many pygmy populations in order to reserve the land for endangered chimpanzee and gorilla populations. In 2011, the government created a Batwa cultural trail for the pygmies, giving them an opportunity to showcase their eco-friendly culture and prosperity in a minimalist symbiotic lifestyle. It is encouraged to go for ethical pygmy tours where 50% of the tour fare is given to the Batwa communities. 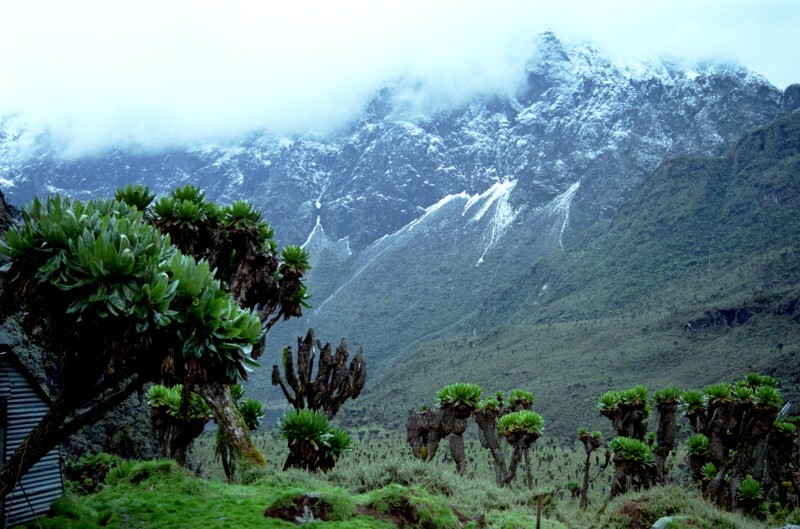 Rwenzori Mountain (also known as the Mountains of the Moon) is Africa’s third highest mountain. This mountain is perfect for energetic hikes. The Mountains of the Moon are always capped with stunning white snow, clouds, and fog. It also has clear streams, lush vegetation, and hospitable locals at the foothill. Uganda is a melting pot of over 40 languages. This wide variety is thrilling to tourists who see the rapid changes in music, dance, dress, and food preferences amongst the locals. Uganda has lots of cultural landmarks a few of which include; Gadaffi Mosque, Kasubi Tombs, Ndere Centre, Uganda National Museum, Ba’ahi Temple and many others. In Kampala alone, there are over twenty craft markets selling souvenirs, fabric, jewelry and artwork made by local artisans. Uganda is home to about 1,000 species of birds scattered across the varying forests, agricultural lands, swamps, lakes and savannah. These birds are found in most of the ten national parks in the country. Some of these birds include: kingfisher, black headed heron, African jacana, lesser jacana, black weaver, African open billed storks, shoebill, swamp flycatcher, African marsh harrier and many more; So get your binoculars and get to Uganda! The scenic Ssese islands are a beautiful stretch of 84 islands on Lake Victoria with beaches, forests, and a good number of crocodiles, snakes, hippos, birds, and vervet monkeys. Enjoy picnics, treks, beach parties, bicycle rides, kayaking, and sight-seeing on these scenic islands! Uganda is home to about 1,500 chimps. These witty creatures are mostly found in Kibale National Park. They can also be tracked in Budongo anytime from Feb-Sep, and at the Kyambura Forest in Queen Elizabeth National Park. Of the ten reasons listed here, this one may be the most essential. Ugandans eat generous helpings of food rich in starchy carbohydrates. Plantain matoke, cassava, maize, millet, and potatoes are popular staples served with groundnut sauce, chapati, or goat meet stew. There is also the famous Luwombo; made from fish, meat and groundnut sauce steamed in banana leaves. Don’t forget to try whole fried tilapia, or slices of the Nile perch served with French fries and binyebwa (groundnut sauce). There’s never been a better time than right now, so start packing!